The original Shinigami who dropped the Death Note in the human world, and also love apples, which Light would pick up. Acting out of pure boredom, Ryuk begins the story of Death Note on a whim. Perhaps neutral by nature, Ryuk often refuses to aid Light and instead enjoys watching him struggle for his goal. 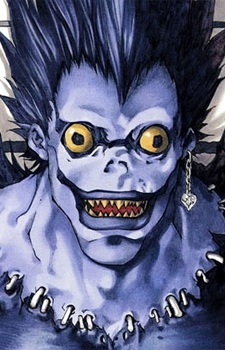 The most important facet of Ryuk's character is that he is not Light's friend. He acts for his own interests and entertainment, and often fails to tell Light key details about the Death Note. Ryuk is selfish, however, and will aid Light if it serves his own goals, such as providing amusement or obtaining apples.